The Spokesman of the National Electoral Commission Mahmoud al-Sherif announced an immediate fine worth of EGP 500 for those who are eligible to vote, yet haven’t participated in the 2018 presidential elections. The National Electoral Commission denied extending the voting period for any additional days adding that the vote ends on Wednesday at 9 pm, according to state-owned newspaper Al-Ahram. Elections for Egyptians abroad were scheduled for 3 days starting on 16 March until 19 March. Elections in Egypt started on 26 March until 28 March. Egyptian citizens, above 18 years old, are eligible to vote. “Article 2 of the political rights law (Law 45/2014) bans from voting those who suffer from mental disorders or are under judicial interdiction, or who have been convicted of a felony,” reported Ahram Online. 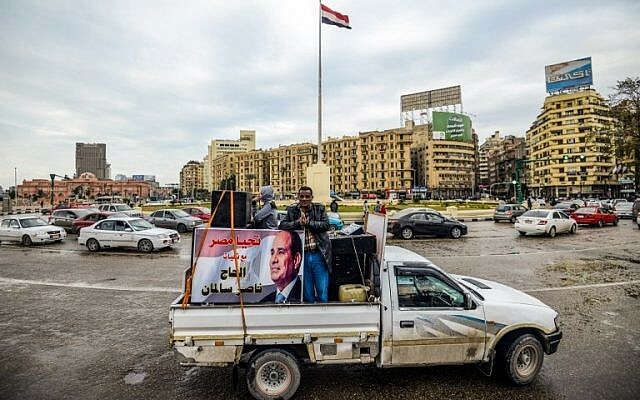 Moussa Mostafa Moussa and Abdel Fattah al-Sisi are the two candidates in the 2018 presidential elections, with the latter widely expected to win the elections to secure his second term of presidency. According to the constitution, presidents may serve a maximum of two terms.